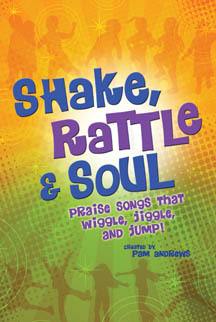 Shake, Rattle & Soul Praise songs that wiggle, jiggle and jump. 15 new songs by veteran children’s writer, Pam Andrews in varied styles Perfect for ages kindergarten through middle school. 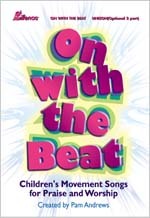 On with the Beat A high energy, movement-oriented activity collection for children. 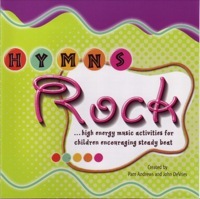 Hymns Rock High energy music activities for children encouraging steady beat. 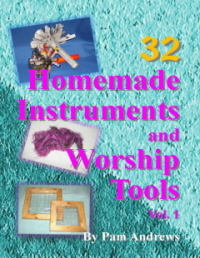 32 Homemade Instruments & Worship Tools Vol. 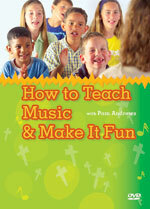 1 Enhance your children's worship experience with easy-to-create homemade instruments and worship tools. 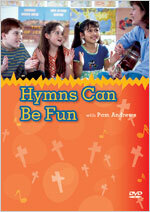 Hymns Can Be Fun Pam Andrews teaches that singing hymns can be fun. 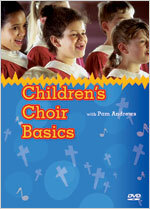 Children's Choir Basics Learn from a pro! Training DVD Taught by Pam Andrews. 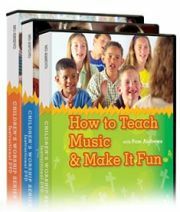 How To Teach Music & Make It Fun Learn how you can make music fun for kids.